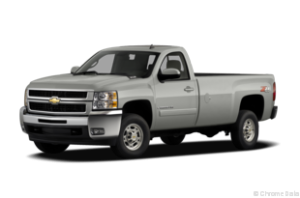 Diesel trucks for sale in BC is a well used phrase when diesel truck buyers are looking to buy a used Dodge Ram diesel truck, a Chevrolet Silverado diesel truck or any of the other diesel truck brands for sale. One of the reasons so many buyers search for diesel trucks in BC is the misconceived notion that a diesel truck from BC is from the Lower Mainland or Vancouver area, where it rarely freezes so our vehicles misse the salt, muck and guck that a typical Canadian winter brings us. While finding a diesel truck that has spent its entire life in the balmy weather of Vancouver is an awesome thing, and we get them regularly at BC Autos the truth is that not everyone buys an expensive diesel work truck to cruise around town in. Many do of course, but most of the buyers of diesel trucks n BC are the roughnecks working on the rigs in northern Alberta, mines in northern BC or some other job that really requires a solid diesel truck. If you’re in the market for a diesel truck for sale in BC, you may want to appreciate the benefits of diesel engines compared to gasoline engines. Diesel powered engines include particular importance versus gasoline engines making them more advantageous for activities that could demand a a lot of extra power or torque, including pulling a boat, travel trailer, backhoe trailer and even a horse trailer. Despite diesel gas priced higher than gasoline at times, the higher overall performance of the diesel powered powerplant still outweighs the higher cost of fuel in most instances. 1. If you’re shopping for a pickup truck, it may seem that the upfront expense of a pre-owned diesel truck isn’t worthwhile, however, the increased fuel economy and reduced maintenance will compensate for the initial cost of the truck. 2. Due to the fact diesel engines perform better when compared with gas engines, a diesel truck will require servicing less often and need more straightforward vehicle repairs(in most cases). A diesel truck engine should also keep going longer typically than gasoline engines do. 3. Most buyers of diesel trucks in BC buy a pick up truck simply because of its power. Greater torque is just about the most significant advantage of a diesel engine, allowing trucks to pull more substantial loads. Consequently diesel-powered pickup trucks possess superior acceleration in comparison with gasoline trucks performing within equivalent scenarios. Compared to a good used diesel truck running under the same types of conditions, a gasoline-powered truck engine may break down sooner. 4. Used trucks in BC with a diesel engine doesn’t have complex fuel injectionor or even spark plugs to replace, eliminating the chance of ignition malfunction, as well as cuts down on the number of components requiring servicing. 5. Due to the fact that diesel fuel possesses more energy per gallon when compared with gasoline engines, a truck with a diesel engine produces more power using less fuel than the gasoline engine. Generally, a diesel-powered engine gets around 20-30% greater gas mileage when compared with trucks powered by gas engines. 6. Diesel trucks typically have far better resale value. When diesel owners decide to trade in or sell their vehicle, they typically find that their vehicles are worth more than similar gas engine models. There is an increasing demand for used diesel vehicles as consumers realize the many benefits to owning this type of vehicle. Couuntry Roads BC Autos specializes in quality used trucks at our Langley-Surrey used dealership, offering quality BC used trucks which are carefully inspected to guarantee they are in the best condition before they are offered to our customers. We make safety and security a top priority. Visit our dealership today located at 19987 Fraser Highway, Langley BC, or call us at 604-243-9001 to learn more about our used diesel trucks in BC.